Judah Band is an ecclectic group of talented musicians and singers, founded and lead by producer, songwriter and singer, Randy Weston. Judah Band possesses an energy and presence that can’t be contested. Their sound is a melting pot of musical genres that includes: Gospel, Rock, Pop and Classical. Judah Band’s sound has the ability to circumvent all cultural backgrounds and tear down denominational barriers. The Indianapolis based group is signed to Light Records. Judah Band’s first single, For My Good, was released in November 2017. Since then, the music video for For My Good has received over 700,000 views. The song continues to chart in the Billboard Gospel Airplay Chart Top 100. Their debut full length album, Gone Fishin', releases August 17th, 2018. Judah Band previously released two successful EPs titled, For My Good and More Than I Ever Expected. The Gone Fishin’ album is a combination of the two EPs. The highly anticipated album is a 13-song story birthed from leader Randy Weston's experience with cancer. Weston says, "I was laying in the bed, weak, I could barely lift my head. I heard very clearly from God that this wasn't happening to me but for me and that birthed For My Good, which has become our anthem, and an anthem around the nation," says Weston. 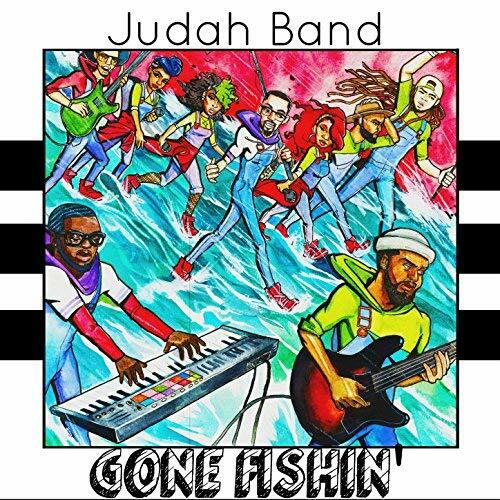 Judah Band is also launching the first visual album in gospel music in conjunction with the release of Gone Fishin’. This 80-minute "filmsical" is a life-sized story that takes us through the journey of life, it's pain, joys, and how Judah Band has been called to be fishers of men. Judah Band has been nominated for several awards and categories including: The 2018 Steeple Awards for Duo/Group Of The Year, a Rhythm and Soul award, Kingdom Image Awards for Small Group/Duo of the year and song of the year. Judah Band has been heralded as Gospel Artist Entertainment’s Top Artists to watch in 2018. They appeared and received critical acclaim for their performance during the 2018 Stellar Gospel Music Awards and are gearing up for an eventful fall schedule on some prominent platforms. Judah Band brings fresh energy, impeccable style, and a commitment to expressing their fervor for the message of Christ. Their mission is sure and focused and they are unapologetic about their approach to spreading the Gospel. They intend to interrupt the norm and appeal to those that may not look like whats typical. Judah Band is here and are charged to make their mark. Saturday, February 9, 2019 | Meet the Artists 2019 | Central Library | 40 E. St. Clair St.